Today, there’s a prevailing perception in business that an organization’s financial team mostly handles back-office work and is not a strategic part of the business. This perception couldn’t be further from the truth. At every company, the finance team is perhaps the most intimately familiar with the organization. 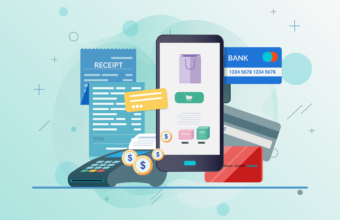 All of the operational data a company generates flows through the finance team: payroll, headcount, sales, department spend, invoices, refunds, chargebacks, stocks, and so on. Finance is also responsible for safeguarding the organization. It’s the finance team that pays the corporate taxes, handles all the registrations, ensures the company is legally compliant, and prevents corporate audits. Two-thirds of respondents say they still rely heavily on spreadsheets to do end of month reconciliations. More than two-thirds of financial professionals admit they face pressure from upper management to speed up the financial close process. Only one-fifth say they were satisfied with their closing processes. And only one-third of companies surveyed said they have automated some parts of the closing process. Many of these issues are fixable through automation. A report from Gartner, for example, estimates that 70% of the accounting rework performed to fix errors before a financial close is necessarily manual but the remaining 30% of that work is avoidable using automation. 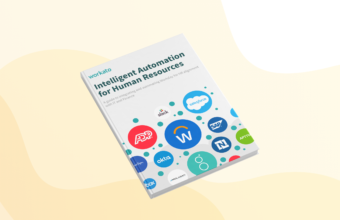 Gartner also suggests that the real-world implications of this trend translate to “about 25,000 hours and $900,000 wasted on work that could be automated” for an accounting team with the equivalent of 40 full-time employees at an average annual salary of $75,000. Yet when it comes to automating the processes necessary to be a strategic partner for the business—from quote-to-cash, financial reporting, procure-to-pay, or managing risk and compliance—finance is often left in the desert begging for a cup of water. Clearly, companies can and should do better for their financial teams and their processes. By partnering with business systems professionals to enable the same sort of digital transformation that is occurring in other lines-of-business, finance teams can close monthly reconciliation processes more efficiently and be given more time for high-value work, can provide more accurate data in a timely or real-time manner, and ultimately see their role within the business as more than just being a bean counter.